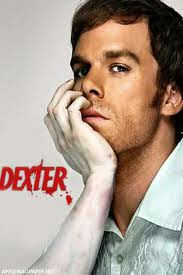 Dexter has been a show that is frequently good and often borders on great. After a fantastic fourth season with massive deaths and a truly conniving villain, season five just didn’t bring the goods for fans of the serial killer with a heart of gold. Showtime has debuted a new trailer for the sixth season, a season in which Dexter getting over the death of his wife and returning to his harsher, sinister roots. Colin Hanks of Mad Men and Edward James Olmos of Battlestar Galactica join the cast this year, and with word that this season lacks a Big Bad like Trinity or the Ice Truck Killer, one wonders if Dexter will face a larger force or cult spearheaded by the two guest stars. All will be revealed this October when Dexter returns to air on Showtime. Comments for “Dexter” Season 6 Trailer Hits The Net are now closed.